*What follows is my response to the "Do you have and further comments?" field to a post-graduate survey my college sent me. Since I was actually using their career services that week, I complied. Basically, it's like voting with the hope of off-setting everyone who votes against your pet policies. I do not wish to be an alarmist. 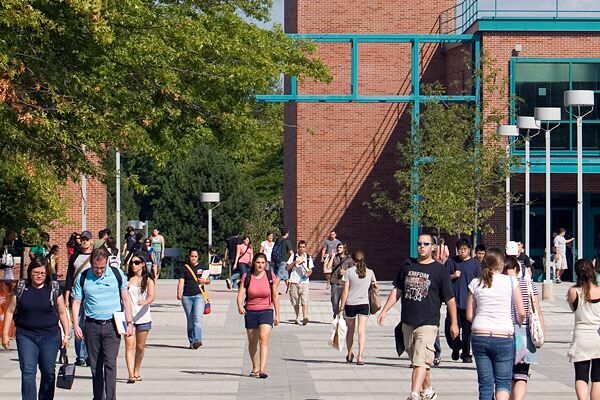 Binghamton has the choice to be either a great public school or a mediocre semi-private university, stretching its resources thinner and thinner in an attempt to beef up sports and programs for career tracks with higher yielding incomes. 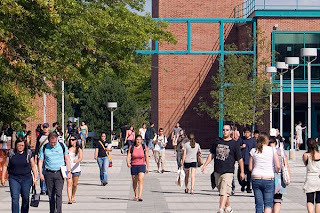 This constant renovation of campus facilities which only benefit a select academic group, the outright illicit purchase of athletic talent without regard for character or academic standing, the constant threat of building a law school while language and culture and arts classes are excised from the curriculum due to a "lack of interest" or funding. These are the things which are making Binghamton University less reputable among current and prospective students. Binghamton has gone decades without a football team and that has done nothing to hinder its development of solar cell technology. Conversely, humanities departments have been relegated farther and farther from high priority with each new budget year and I find myself wondering at what point I will become ashamed to say I went to a Business School with a penchant for scandalous sportsmanship and a disregard for any profession that seeks to understand why society works instead of contributing directly to its mindless perpetuation. I also wonder at what point the Fine Arts majors will simply revolt and lynch the entire budgetary committee on the steps of the Bartle building.